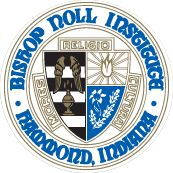 Starting in January 2019, Bishop Noll alumni will be contacted via postcard, phone and email by our partner vendor Publishing Concepts (PCI). The BNI Advancement Office is working with PCI to collect and update the contact information of our thousands of alumni worldwide in order to publish an alumni directory and strengthen our alumni network. When PCI connects with you on behalf of BNI, you are invited to share your graduation year, college info, basic employment info and contact information and any notes you want to include to let former peers know what you have been up to. You are under no obligation to purchase anything. Regardless of whether you purchase the directory, we thank you for updating your information. If you have any questions, contact Mary Ellen O'Neill, Director of Advancement, at moneill@bishopnoll.org or (219) 932-9058, ext. 1002.